the pedal tray, first toe in the rabbit hole. yes, looking at you @Cols. Congrats! It’s a slippery slope. am I misunderstanding the term "acoustic guitar"? Seems that way...do I need to explain to you how to amplify an acoustic guitar so it can be heard by a crowd of people in a bar? ?...ok then it’s an electro-acoustic...is this helpful to you?? it was merely a light hearted quip. So my board is somewhat cliche, more so now I've just snagged a Source Audio Ventris on eBay. 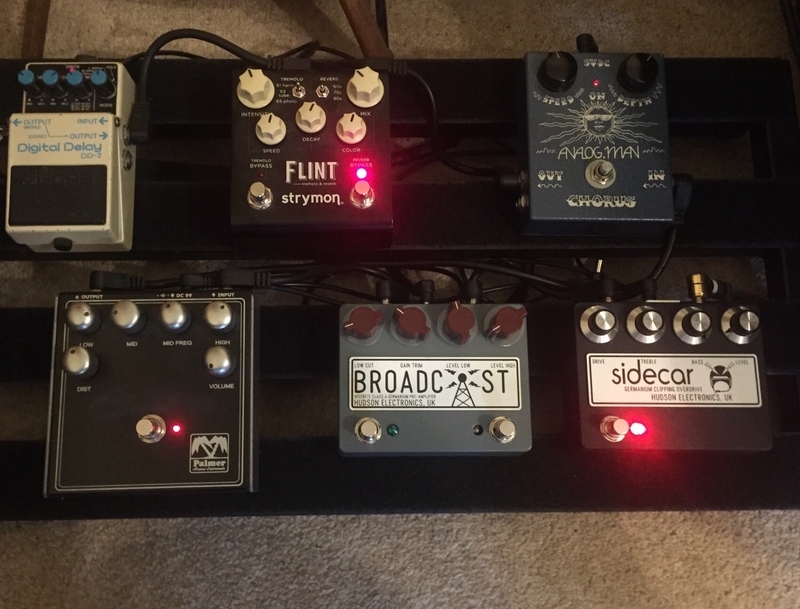 I'm going to be adding a Strymon TimeLine, Green Carrot Pedals Infatuator, Source Audio EQ and lastly a Gig Rig G2. I've got a custom made pedalboard set aside for it all to be dropped in. 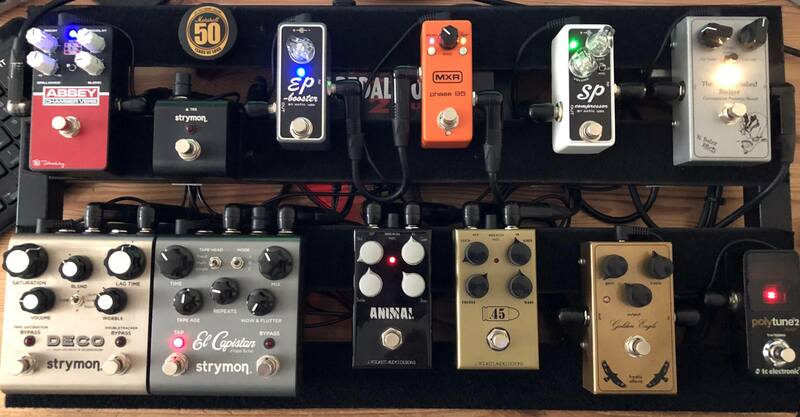 This is my current pedalboard, its great because it works for bass and guitar. 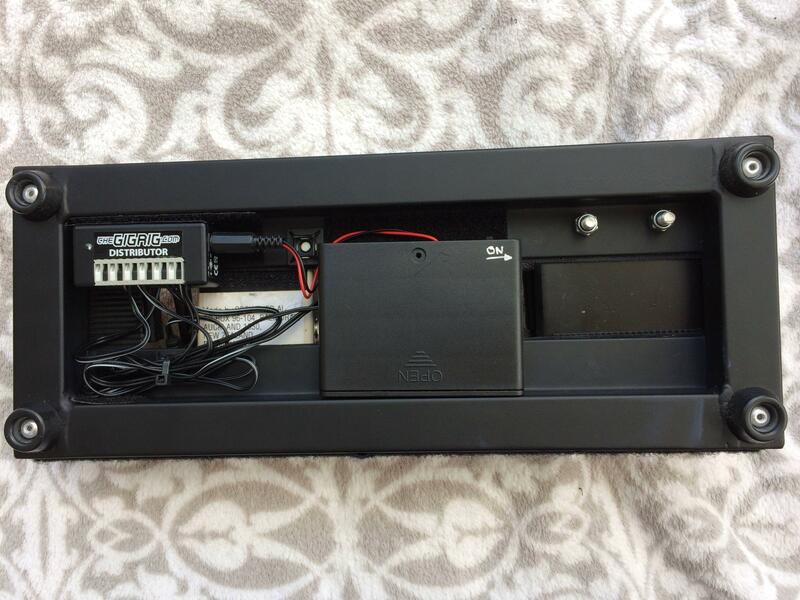 You could just use the receiver as a pedalboard! Would you mind comparing the Animal to the .45 Cal for us please? Is there much overlap between them? Many differences? Now I'm in that stage to reduce to minimum, this is like a roller coster, up and down, never settled. johnhe said: Would you mind comparing the Animal to the .45 Cal for us please? Is there much overlap between them? Many differences? For me, the .45 is very very accurate JTM without excessive gain often found in MIAB. Can do early AC/DC, Free & Zep. The Animal is the 1971 'Free-Live' album. Plexi just pours out of this, again not spoiled by gain. Much more open, hollow/scooped if you like. After about a year to a year and a half of chopping and changing, and buying and trying, I have a board I'm actually pretty happy with. 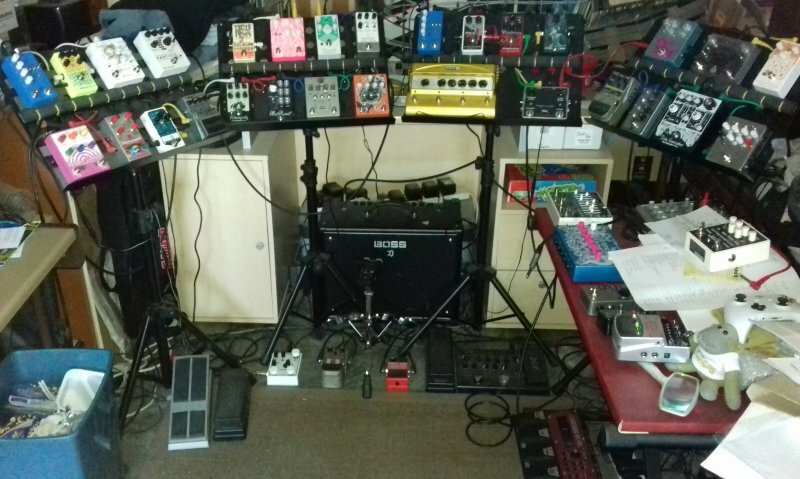 The two pedals at the bottom right are a Phase 45 with 'vibe mod (Fuzzdog build), and a modified Nobels ODR-1 clone (Aion Andromeda self-build, which adds a bass control so you can roll off bottom end). Those two I sometimes swap for a Small Stone Nano, and another Aion self-build clone (this time of a BJFE Honey Bee). 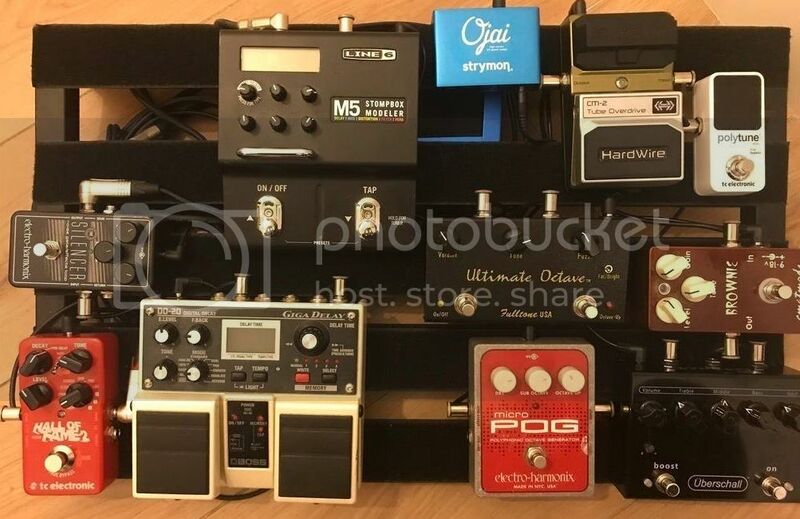 Plans for the future: a slightly bigger board, maybe a Pedaltrain Jr, so I can add on a couple of pedals I like (Sub'n'Up, and Muff), and have space for a single better PSU. I'm still not 100% convinced by the Flint, and it may end up going back to a dedicated 'verb and trem pedal setup. 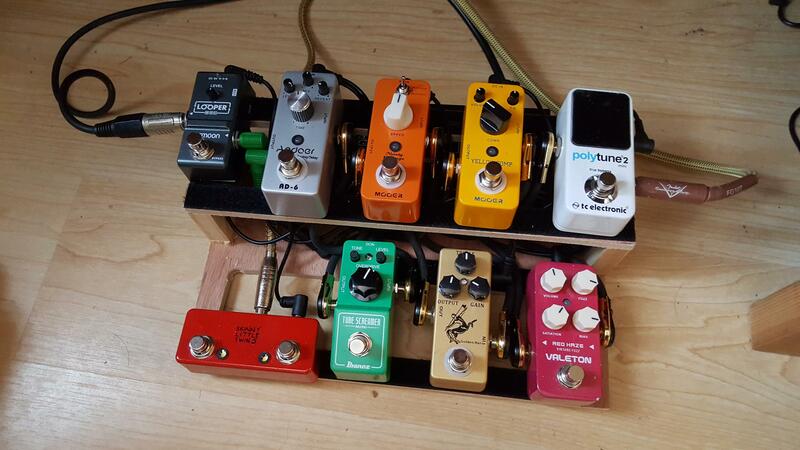 I'm very happy, though, with the drive pedals, delays and basic modulation options. Heh, indeed. The light makes the stuff look dustier than it actually is, but yeah. My small gig board has been updated. First time I've not had a Klon on my board in about 10 years. It might be coming back at some stage though- I'm thinking of getting rid of the Blue Sky and Timefactor for a Keeley Delay Workstation. The Gravitas pedal is absolutely amazing. What's the Morningstar doing? Seems like overkill for just the DD-500. It also runs my JVM amp switching. The amp footswitch that’s there is for my Badcat, so I can use this board with either amp. i will be getting an HX stomp when it’s availavle too, so the Morningstar will be doing a lot for that as well. Great unit! You could easily fit a Tumnus sideways above the wah/expression if you wanted a Klon-ish pedal without losing the other good stuff!! 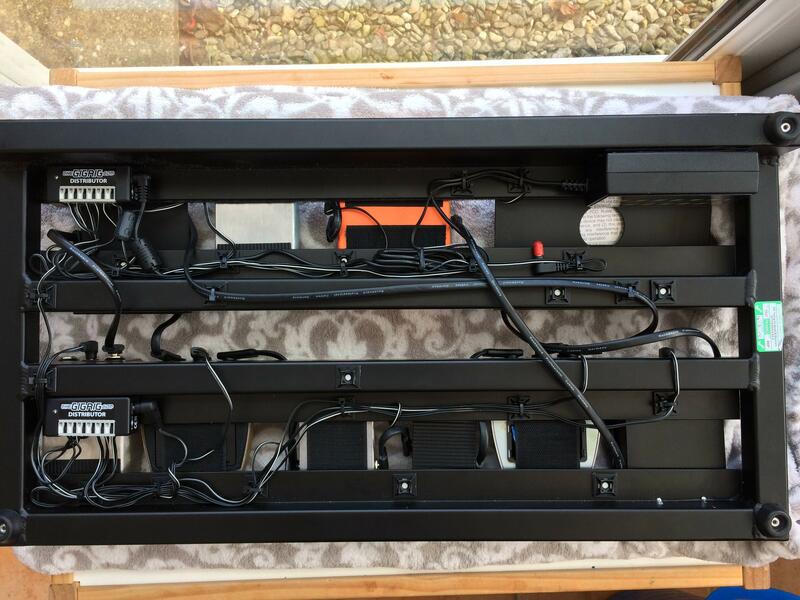 Powered by a GigRig Generator (top right) via two GigRig Distributors. 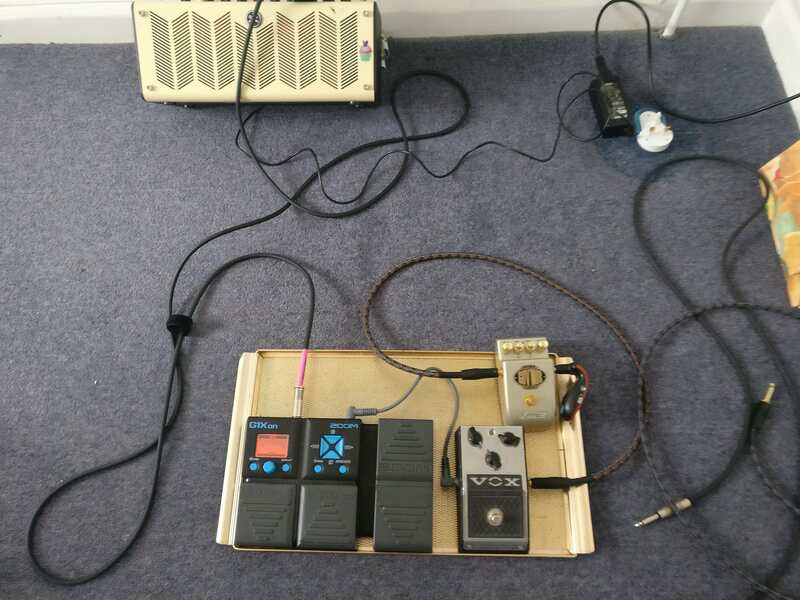 I pinched Boss's idea (BCB60) and mounted each pedal in a cutout in a piece of foam mat. Battery box contains 6x AA alkaline batteries - a much cheaper option than the likes of Volto! 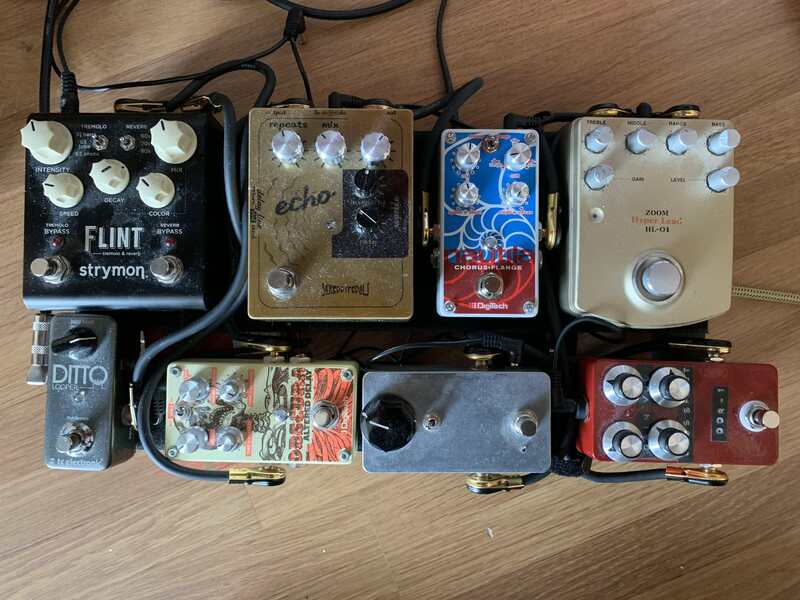 Delay after reverb and trem?